Do you have the need... The need for speed? Rocky Robinson sure does. 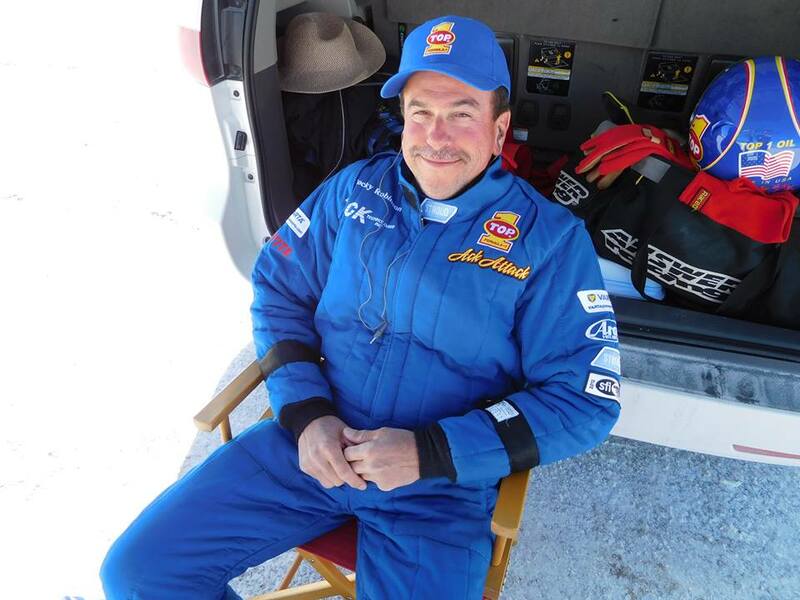 And his TOP 1 ACK ATTACK team of experts on the subject are on hand right now at the world's highest salt flat, Bolivia's Salar de Uyuni, for the Top of the World Landspeed Challenge! Since late 2010, the Ack Attack team has held the motorcycle land speed record (LSR for the indoctrinated) at 376.36 mph (605.69 km/h), but why not go for 400? Of course, Rocky Robinson will be going twice as fast as that. 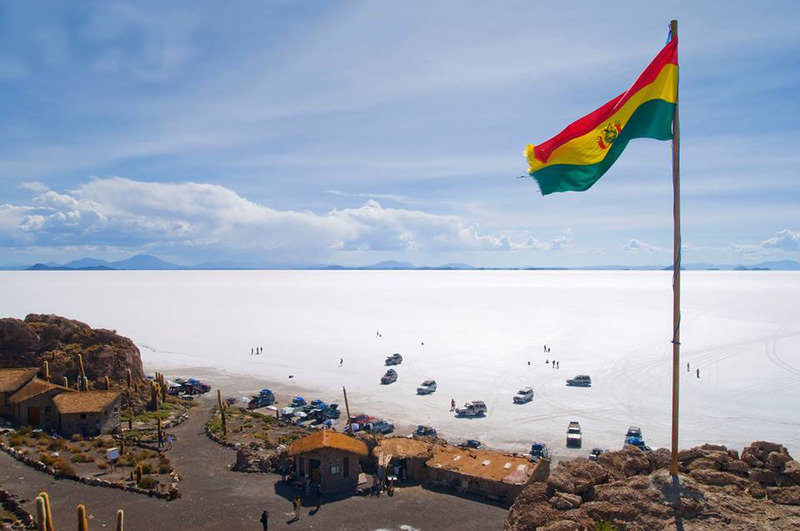 At nearly 12,000 feet (3,656 meters) above sea level, the Salar de Uyuni offers the least amount of aerodynamic drag and the best salt conditions the team has ever run in. “I’m hoping we come out here and set a record with a real high mark that will last for a long time,” adds Akatiff. Drag racers say there is no replacement for displacement. However, when you are going for 400 mph, Akatiff, would beg to differ. The secret to success is not more cubic inches, but less drag, according to Akatiff. 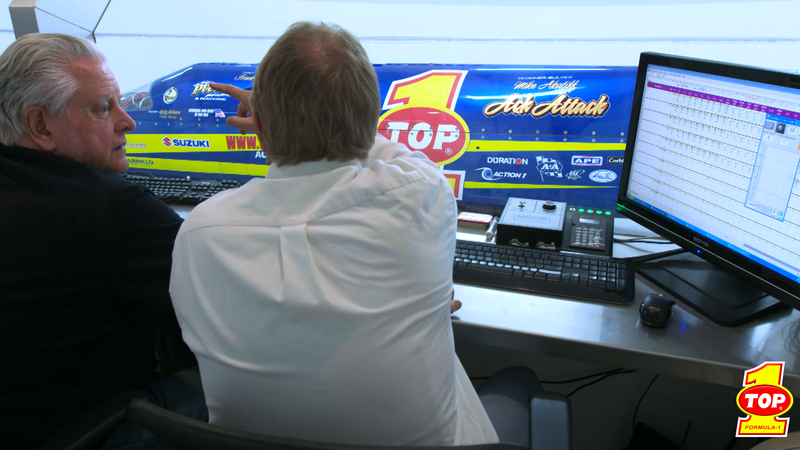 With the aerodynamics dialed in, they're eager to exceed 400 mph - an impressive goal! “The aerodynamics of the ACK ATTACK, or any high-speed land vehicle, are so important,” notes Akatiff . “We've run high-speed computer simulations, but to get really accurate data, we performed wind tunnel testing.” Akatiff and the ACK ATTACK team went to the Darko Technologies wind tunnel to unlock the data they needed to go 400 mph/643.74 km/h on the Bolivian salt flats. The Salar de Uyuni salt flat is nearly 12,000 feet (3,656 meters) above sea level. However, the team is confident that the twin 1300cc Suzuki Hayabusa engines will deliver more than enough horsepower. A ram air induction scoop channels air into a specially built Garret turbocharger/intercooler system to force-feed both engines with 35 lbs. of boost to generate 900+ horsepower. The results were startling: with the doors in place, the wind tunnel tests demonstrated a 40-pound reduction in drag — good for an extra 40 horsepower. This number will be even better in the high elevation of Bolivia. The road to the 10-year-lasting record wasn't necessarily a straight one, though. “When we started the bike with a bunch of friends back in 2002, we had no idea we would end up here in Bolivia,” says Akatiff. On September 3, 2006, Rocky rode the TOP 1 ACK ATTACK to a motorcycle land-speed record of 342.797 mph. In 2007 he tried to better his speed, but crashed at speeds in excess of 320 mph and rolled 16 times! 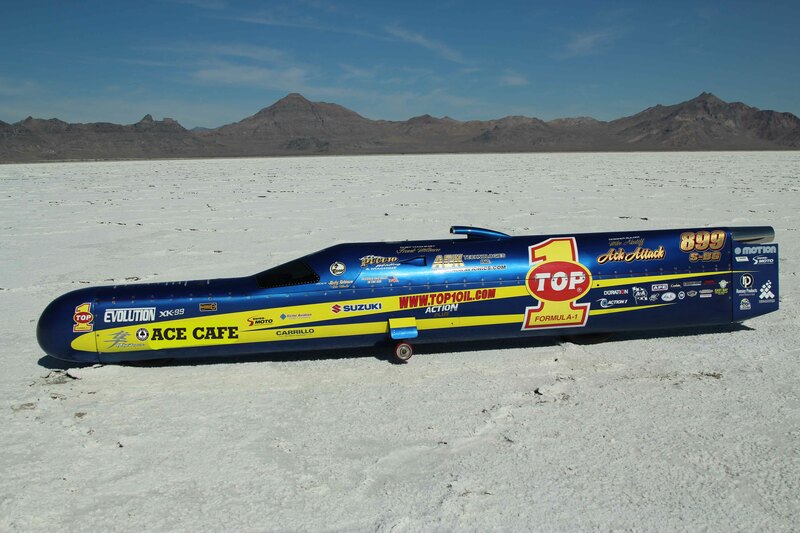 Robinson returned to Bonneville in 2008 and piloted TOP 1 ACK ATTACK to a second world record of 350.884 mph. On September 25, 2010, for the third time in four years, Robinson set the LSR that has held off all challengers for the past seven years. 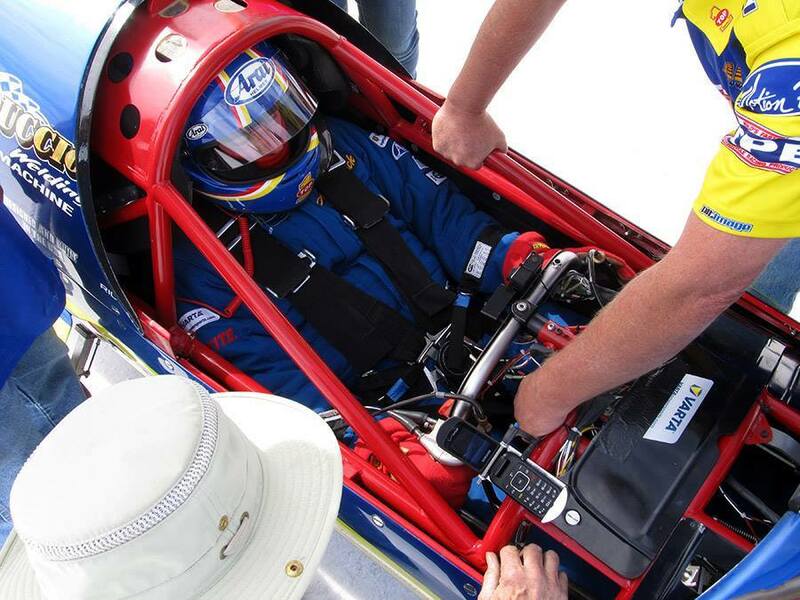 Follow along in the quest for 400 mph here!